We have been loath to carry airbag packs since they’ve been so heavy. 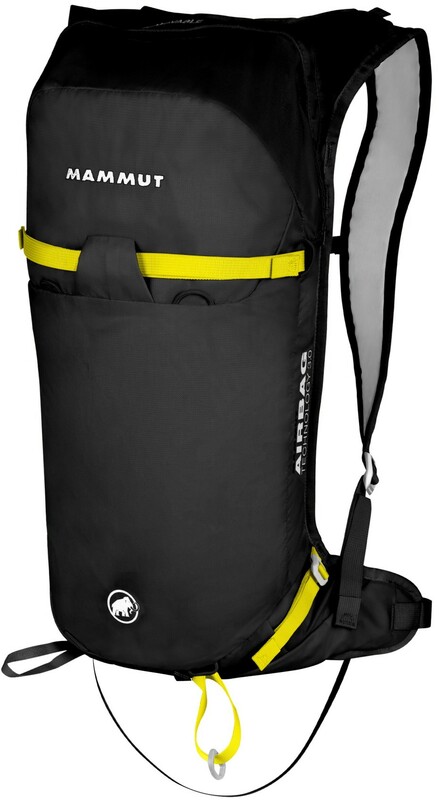 Enter the Mammut Ultralight with the Removable Airbag 3.0 system. Without the canister the pack is nearly race-weight, and it comes in under 2kg when all topped up. That means you may not have to sacrifice much speed for the additional avalanche safety. The compressed air system is the 3rd iteration from Mammut, a proven design that has been credited with saving lives in the field. 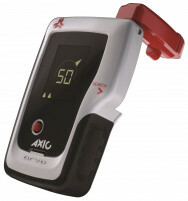 It uses aluminum cartridges that are refillable in a ski or SCUBA shop. If you’re susceptible to temptation on powder days, yet like to keep things light, check out the Mammut Ultralight Airbag pack. R.A.S. 3.0 is a dependable compressed gas airbag that is light and packs down small. Back padding is removable which means you can make a nice on-snow seat out of it. Airbag system is removable to lighten the pack on lower avalanche danger days. Diagonal ski carry system and additional ice axe holder are key for long booters. Side-compression straps let you adjust the volume and fit if you’re going light. Full zip into the back of the pack helps access items stored near the bottom. Deployment handle on the airbag is adjustable for variances in skier height. Pack is hydration system compatible with inner loops and a straw exit port. 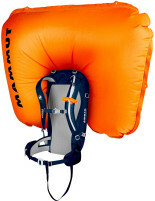 Removable airbag can be used in more than a half dozen Mammut packs. Notes Removable back padding doubles as a seat. I was wondering what the shipping time would be on this pack to montana? Hi Cole, it depends on your zip code but generally 2-3 business days to Montana. If I order the Mammut Ultralight Removable Airbag Pack at $139.95 and the Mammut Refillable Airbag Cartridge $189.95 would the pack be complete? Hi Tony, you would still be missing the actual airbag. Mammut sells the packs without the airbag (optionally) so you can swap an airbag between multiple size packs. Select the Airbag 3.0 option to get a complete kit. I was super excited when this airbag was announced. Prior to this pack, I carried a 30L BCA Float airbag for my personal use and a Black Diamond Jetforce 40L pack while patrolling. I highly value the extra margin of safety airbag packs can provide, but the weight of other packs really cuts into the enjoyment of trying to move quickly. When I saw the specs on the Mammut Ultralight 3.0 I was blown away, and in a bit of disbelief. This pack is nearly 50% lighter than my BCA. It’s a smaller volume, but as I’ve moved my gear selections to “light and fast” equipment I have found that I rarely ever need more than a 20L pack. On paper the Ultralight 3.0 was everything I wanted. I purchased one just before the start of the season in 2016 and wore it 4-6 days a week from November to April when the snowpack finally stabilized. Most of my tours are 2-4 hrs in length on weekday mornings before work. I tend to stay on the go, and limit the amount of time my pack is off my back. For me, the design of this pack has been great. One main compartment that holds all my stuff. After initially spending some time packing and repacking to figure out what was most efficient, I learned that I can pack everything I need for a full day… shovel, handle, probe, first aid/repair kit, food, puffy jacket, goggles, ski crampons. If things are going to be serious, I even have room for a tightly coiled 6mm x 30m rope! The back-panel access has advantages and drawbacks, but I can’t say I’d prefer another style of opening over this one. The panel has just enough cushion to keep me from feeling the contents poking me and has a nifty pocket on it that’s meant to hold a water bladder. I found it more useful for stashing my first aid/repair kit and spare energy bars or gels. I attached a CAMP soft flask holder on the off shoulder to carry .5L of easily accessed hydration. This worked well and the elastic cross strap Mammut includes accommodated the flask holder nicely. The diagonal ski carry takes a minute to set up initially, but after getting it established is very quick to get the skis on the back. I have found it quite stable and dependable, even while climbing 5th class rock in sketchy situations. The ability to remove the airbag system and swap it into another compatible Mammut pack is an incredible feature. I also have the 30L Light 3.0 pack that I use for guiding and have swapped the system between them several times. After learning how to do it the first time, subsequent swaps were easy and less than 5 minutes. I really like this feature because a full season of ski mountaineering can be very hard on the pack material. Mammut’s new system makes replacement of the worn-out pack body a reality, as well as the possibility of having a quiver of packs with airbag safety built in to meet every ski mountaineering demand. I can’t say enough good things about this system. I’m a very happy user. My only wish is that Mammut finds a way to make the carbon canisters available in the US so that this system can get even lighter. I have skied with this airbag all winter and love it. It is super light and very comfortable to carry on long days with the weight of the airbag barely noticeable. It carries everything I need for a day of extended skimo training- spare set of skins, spare water bottle, puffy, wind breaker top and bottom, spare gloves, repair kit, InReach, and typical avy gear plus saw. The one thing I don't like about the pack is the rear entry feature. I get it but it is a little tough to get out your avy tools without spilling the pack or filling it with snow. I have rigged my shovel, probe and saw to the outside and that has made it much more convenient to access (so I use it!). I also had a local seamstress sew a strip of webbing across the plain (non-airbag handle) shoulder strap so I could rig a water bottle holder there which was a great upgrade. One other minor negative is that the back panel doesn't breathe at all so it can get pretty moist under heavy exertion. I just want to repeat that this thing is super comfortable to wear- I never want to take it off! As to whether it will save my life- I hope I never get to review that aspect of this pack. However, I have made sure I practice with it regularly using the supplied dummy load that screws in in place of the air canister. 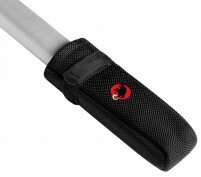 It seems very easy to deploy and the handle is easy to grab even with gloves. It stows well and has not gotten snagged on trees even in a few accidentally tight situations! Overall, for such a light and small pack , I love it and will continue to make it my go to pack in all but spring conditions. Update: At the end of last season I got to actually use it in the field. Long outing on a "triple green" day (low danger on all aspects and elevations), fast companions, long day. I almost didnt take the pack but it is so light I figured I may as well since it already had my stuff in it. I almost felt stupid popping the ripcord handle out conditions were so stable. About 30 feet down a 45 degree slot off the second ridge I hit like the only spot of instability on the mountain. Feet ripped, I could tell it seemed more of a small surface slide but the thought that flashed through my mind was that if I *did* die with an undeployed airbag Id feel really stupid. Even getting knocked around, my routine training with deployment made it a fast, efficient action. Luckily it was a superficial slide but still carried me close to 100 feet. I should mention that releasable bindings probably saved me some injuries. I also use 80lb test ski leashes in the BC and those held so I was still able to enjoy the 1000 or so feet below me instead of hiking after my ski. I think the combo of a releasable binding and breakable tether is well worth considering as part of your safety plan. Practice pulling the ripcord in varied conditions! It was kinda loud and the whole party heard the noise which alerted them to the fact something was wrong. The bag really wraps around your head for protection. It was a little awkward to re-stow as I had never rehearsed that part but easy after figuring it out. Id recommend deploying and stowing it once at home to get this dialed. The airbag is so bright that skiers on nearby ridges saw it. On a final pack note- the ability to access a shovel quickly remains a bit of an issue. I am now planning on having a flap sewn on the back to allow for easier stowage and access- my current system of using ski straps is awkward especially in nasty conditions. Here is to hoping you never need this thing. However, for me it is now my only pack for the season until spring conditions set in! Airbag recovery in action post slide. Hi Bryan, unfortunately this pack is only available in blue this season. Just come with everything? I'm just confused on what comes with his backpack. Is it a pack with the airbag system included? Hey Lisa! So, at $139.95 you get the backpack (a pretty awesome one at that), but with no functional airbag features. If you select the Airbag 3.0 then you'll have to select the filled canister for it to get to you as a fully functional airbag. You can select an empty canister but you will have to get it filled by a local filler-upper station (Scuba shops can do this as long as you have the Mammut Aribag Adapter and Mammut Cartridge Refill Kit), some authorized dealers can do this as well without the Airbag adapter, just depends on who you're working with. Otherwise, to save yourself some hassle, you can just get a full canister for a few extra dollars. Hey Aaron. We just weighed it. Total weight, ready to deploy with a full canister and an airbag, is an impressive 2000g. Empty pack weight with no airbag or canister is an even more impressive 520g.